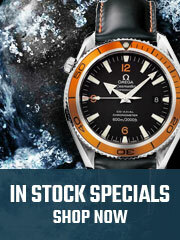 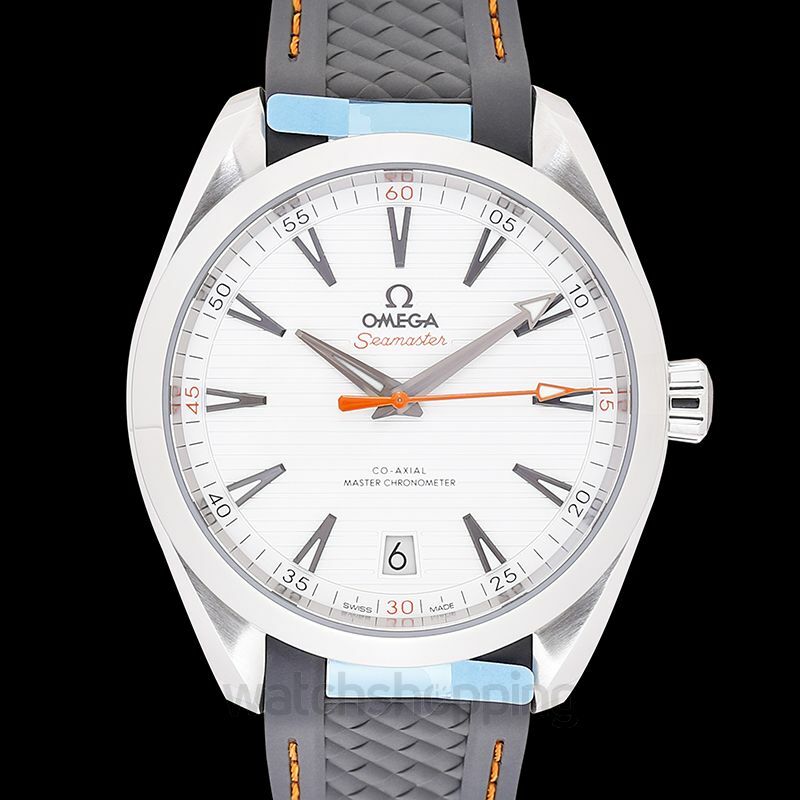 The Seamaster Aqua Terra pays honor to OMEGA’s rich maritime heritage. 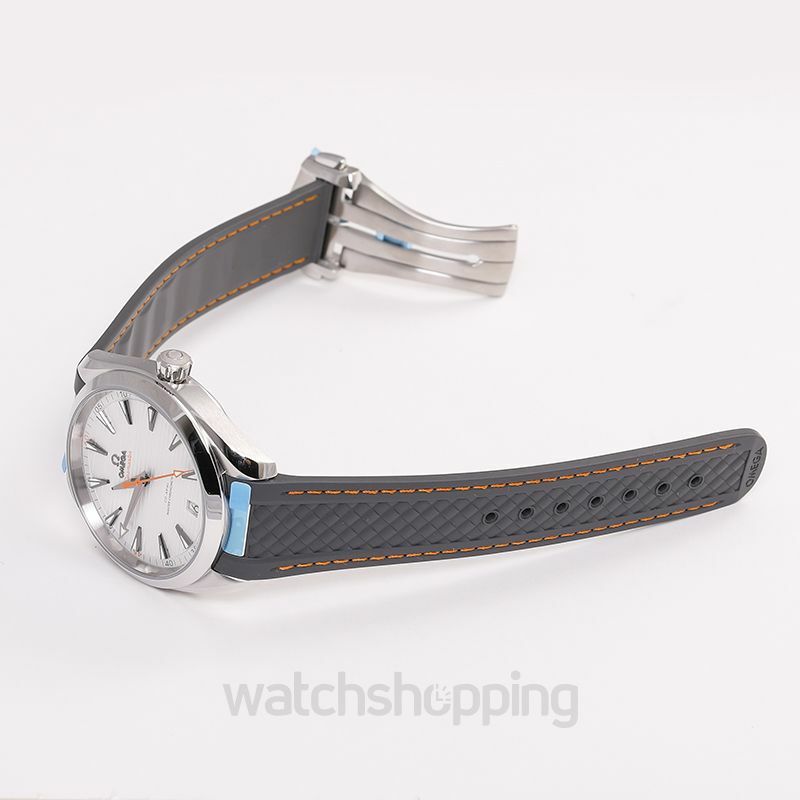 The stainless steel case of 41 mm, features a date window at 6 o’clock, fastened to it are grey straps lined with bright orange stitches of made of structured rubbers and lined with stainless steel links, adding funk to the watch. 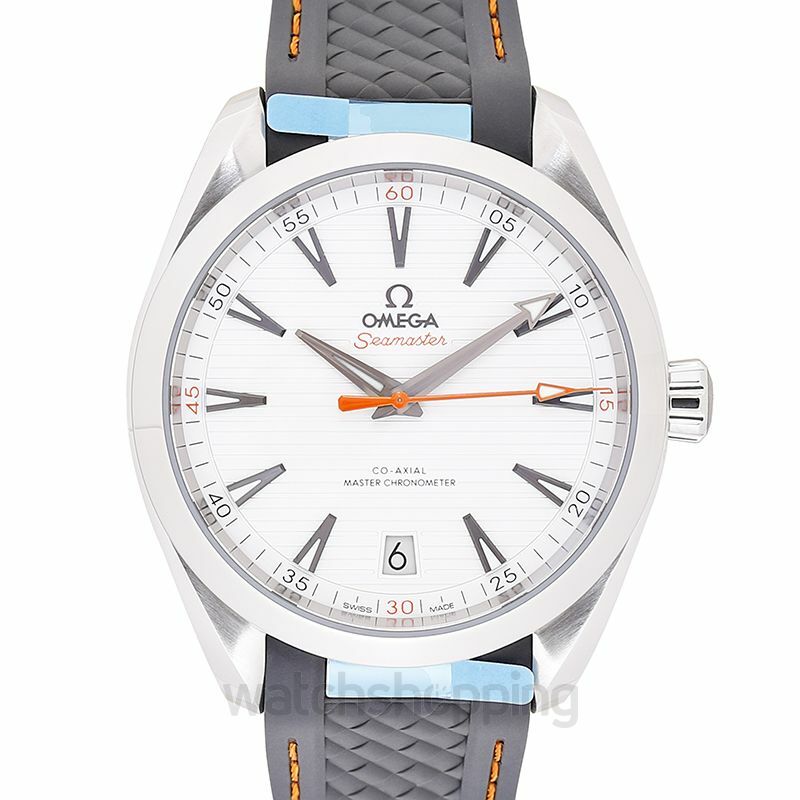 The vibrant look is undoubtedly completed with light blue links attached to the dial. 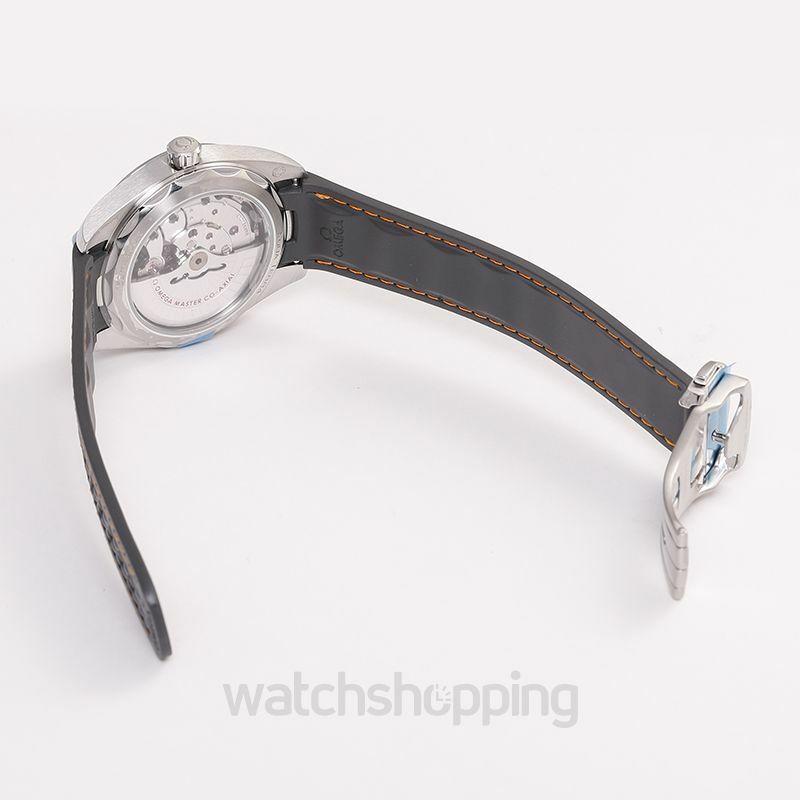 The lustrous silver dial has a horizontal teak pattern which is inspired by the wooden decks of sailboats. 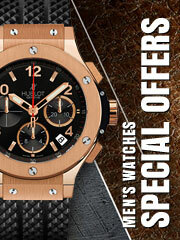 This luxury watch undoubtedly helps make a statement with any attire.